Are you on Team White or Team Orange? 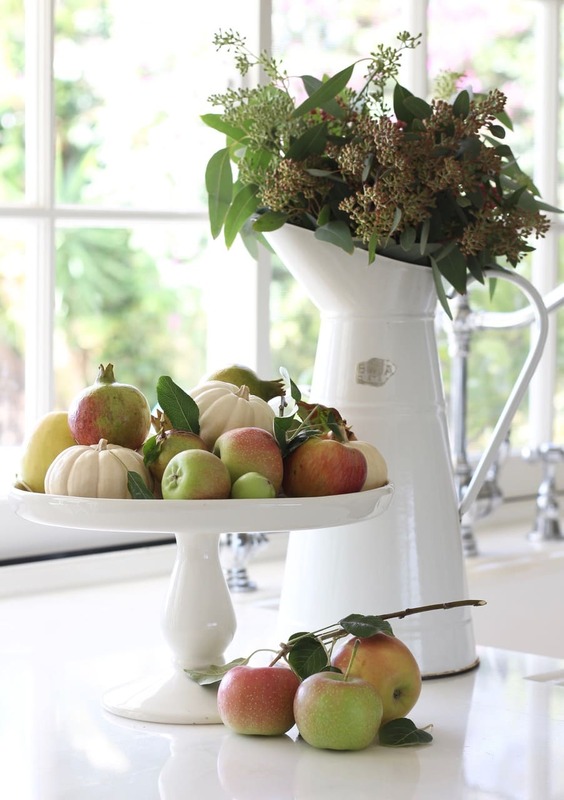 Sometimes I think there are two schools of thought when it comes to fall decorating. There are those who pull out all the stops with every shade of the falling leaves. Gold, orange, red, burgundy. Rich. Dark. Dramatic. And then there are those who buy only baby boos. 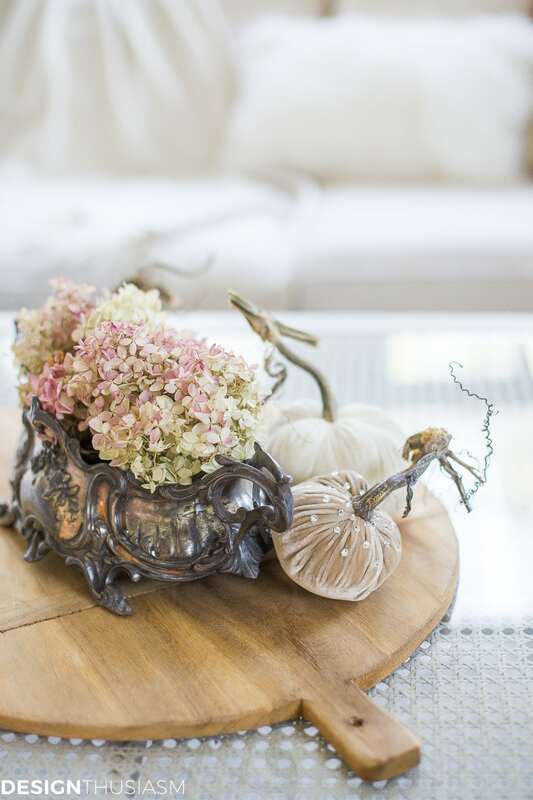 They sneak the most subtle seasonal touches into their crisp white homes including soft, sweet, pure-as-the-driven-snow pumpkins that whisper of fall’s arrival. Team White and Team Orange. And yet there’s another option. 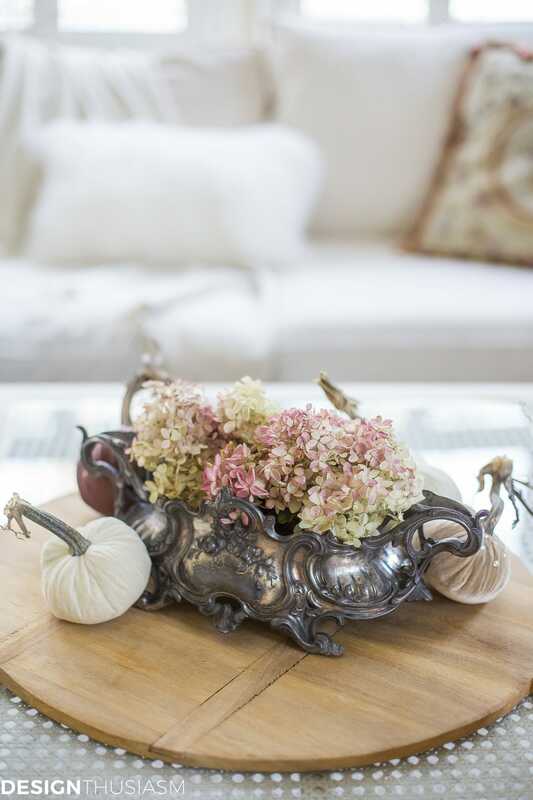 It’s altogether possible to add the warm tones of fall to your home while still maintaining a gentle aesthetic. 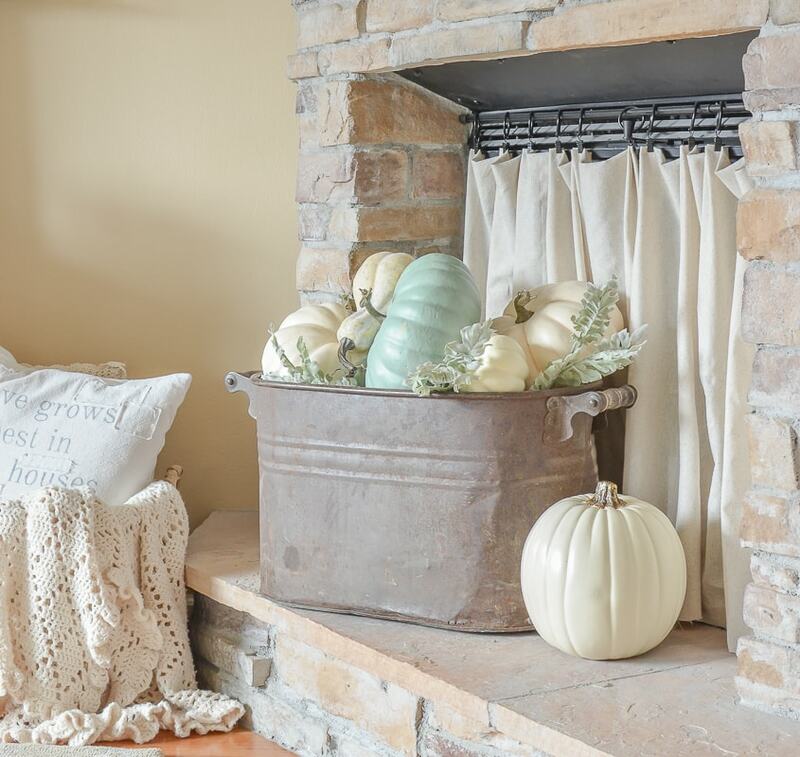 A soft autumn color palette can be developed using traditional fall tones, and essentially whitewashing them down, so they might look like the faded version of the original colors. Soft. Warm. Peaceful. 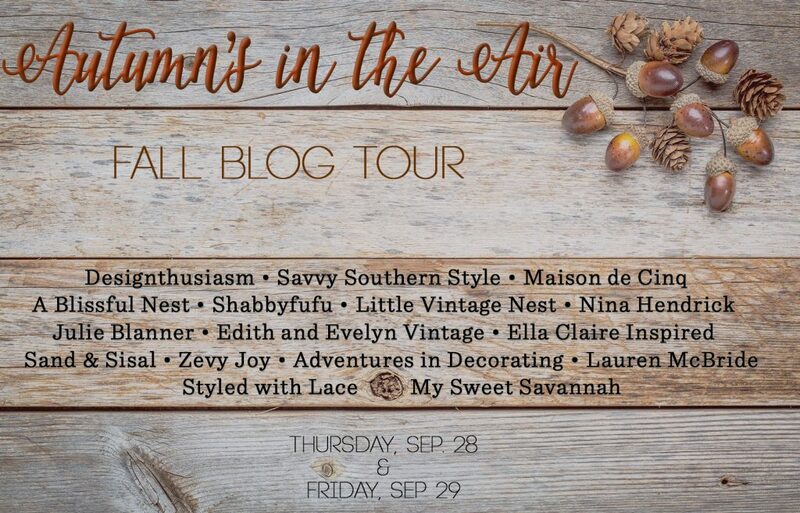 Today I’m joining with a group of talented bloggers to bring you a Blog Tour called Autumn is in the Air, hosted by my dear friend, Sheila from Maison de Cinq. If you’re coming over from Little Vintage Nest, I’d like to extend a special welcome to you. The soft autumn color palette is one of my favorite approaches because it honors the warmth you’d expect from the season and still maintains the pale aesthetic I prefer in my home. 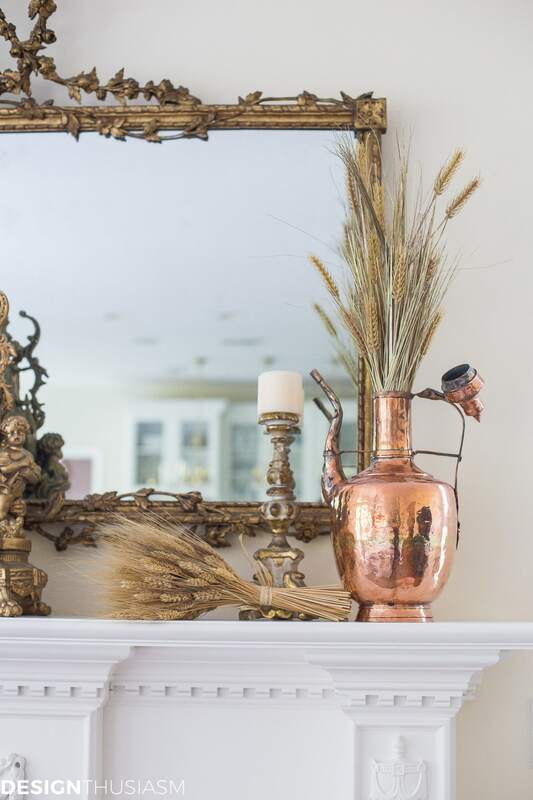 The key is to work with bleached warm tones, like blush pink, wheat and faded copper and fuse this palette with classic fall imagery. 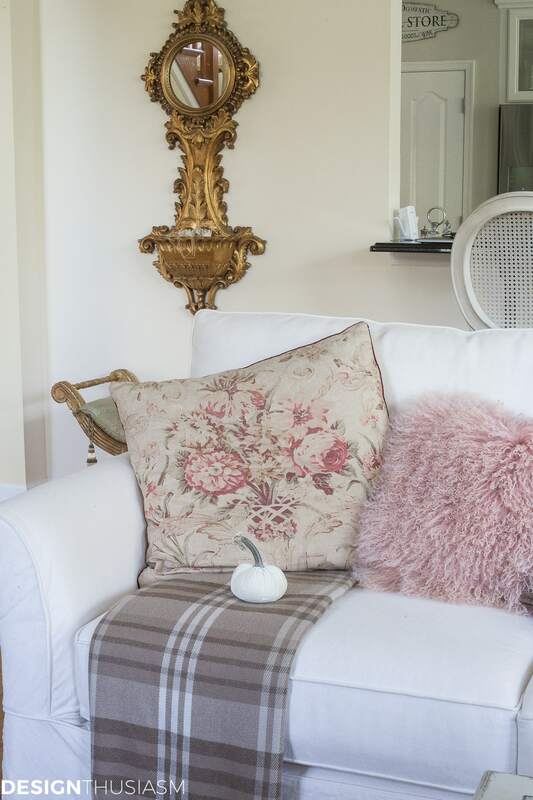 An ivory cable knit pillow sits comfortably next to a blush ruffled throw and mauve velvet pumpkin. With a palette established it can then be applied in your home via the textures so prevalent at this time of year. 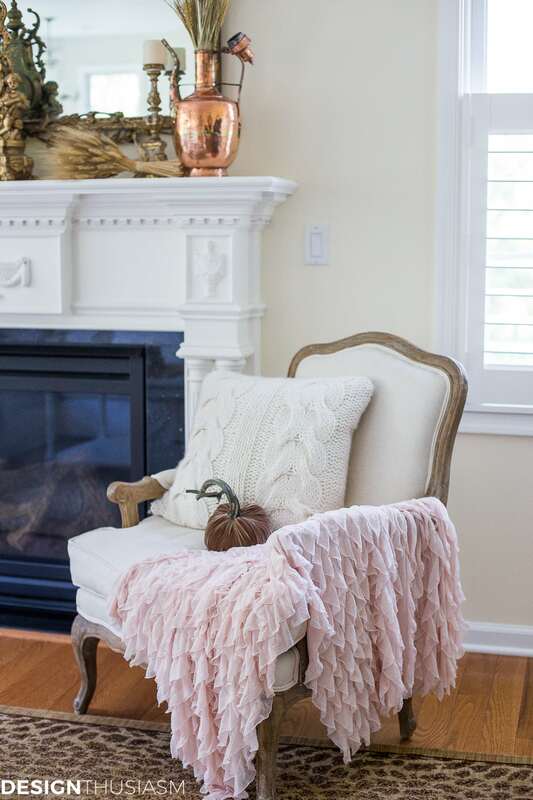 Try a faux fur blanket or feathered pumpkins, unmistakably fall, but softly toned nonetheless. 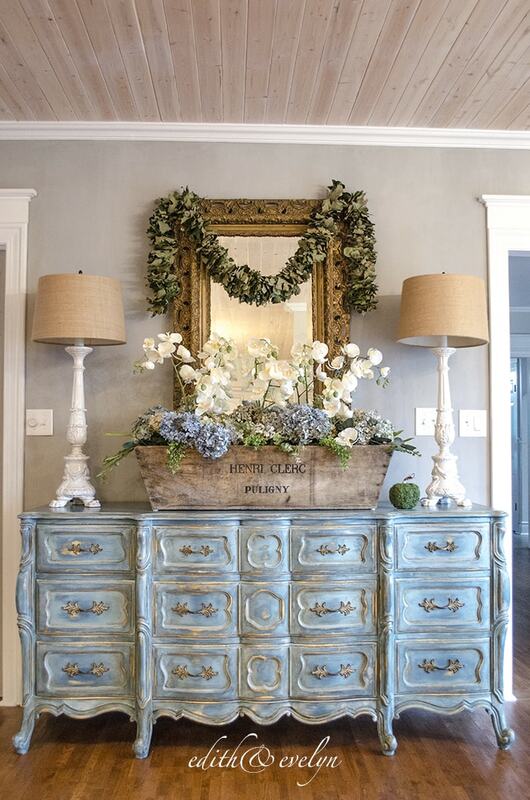 Dried hydrangeas work perfectly with this look, and here I’ve tucked them into a vintage jardiniere. 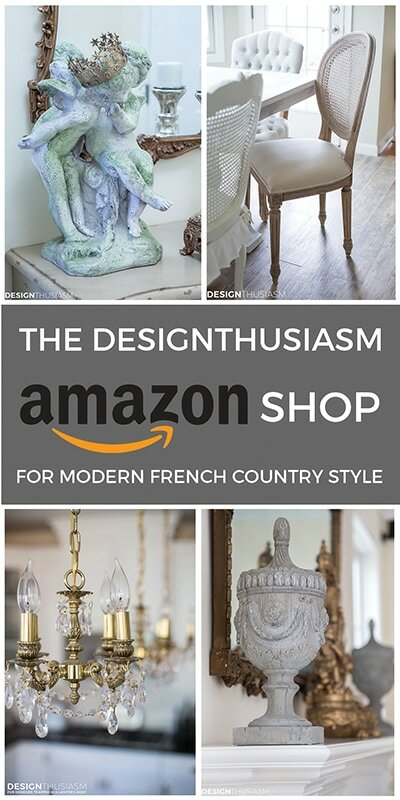 I never want to stray too far from my French influenced style, and antique pieces help bolster that goal. Touches of copper fit in seamlessly, as well. They add both warm and a touch of glimmer, signaling autumn as much as they communicate elegance. I also like to play with neutral wheat stalks. 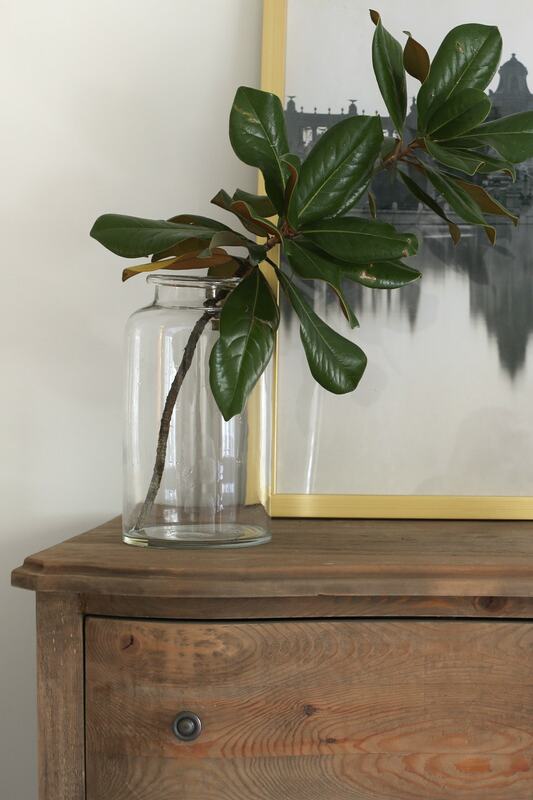 They have a wonderful bit of movement to them, paying homage to nature and they mix beautifully with the gilt accessories that adorn my home. 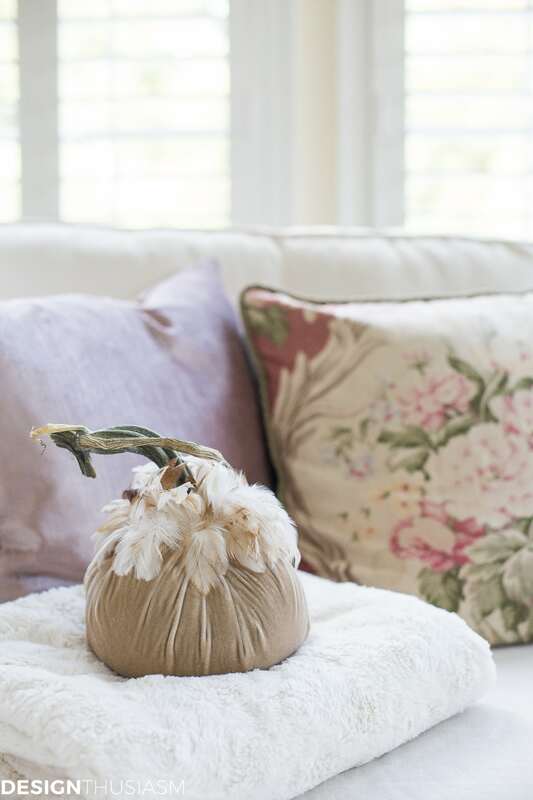 Pillows and blankets are a must for seasonal decorating, and with my palette I’m mixing floral, tweed and lush Mongolian lamb. 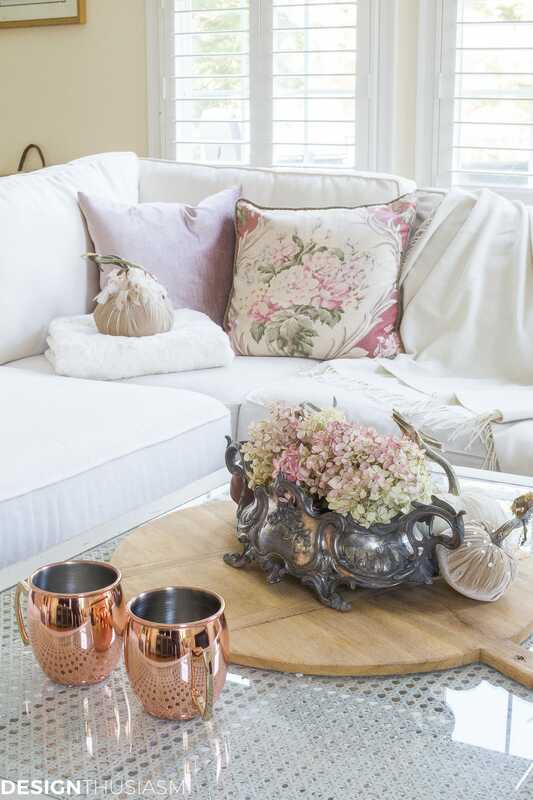 The pinks and neutrals in no way diminish the coziness provided by these cool weather comforts. Pumpkins look wonderful scattered and in bunches, but one singular pumpkin in a fabulous bowl takes on a sculptural quality all its own. 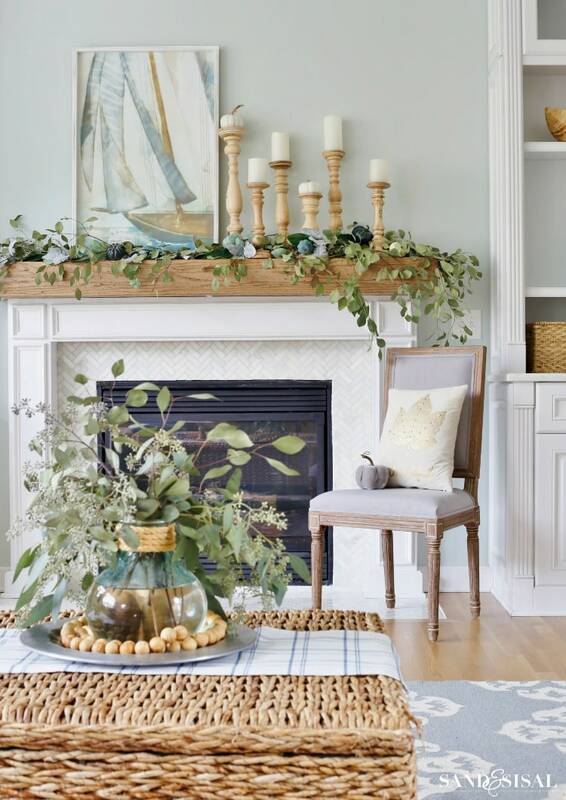 The ivory backdrop plays off the pale gentle colors and envelops the room in buttery softness. Finally I added a touch of plaid, again staying neutral to work with my soft autumn palette. 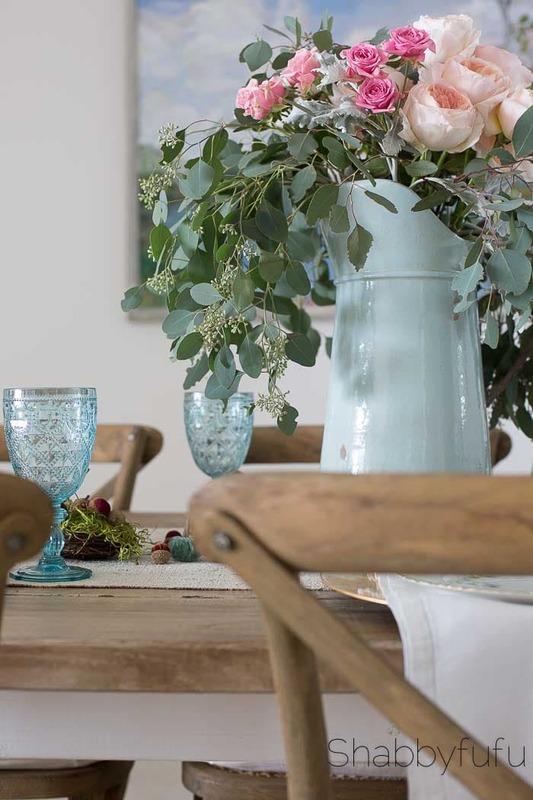 When I’m doing table settings, I can play with many different palettes because they need only stay up for a day or so, but when decorating my rooms for an entire season, my palettes must work with the style I most identify with. 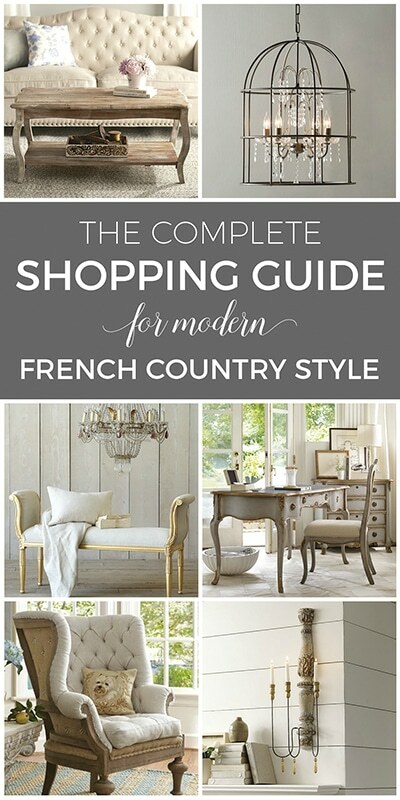 Soft, blushing, modern French Country! Please be sure to enjoy all the other participants in today’s tour, and the next stop is Sand & Sisal. I know you will love Kim’s beautiful home. Then come back tomorrow for a whole new line up of gorgeous posts! Gorgeous! 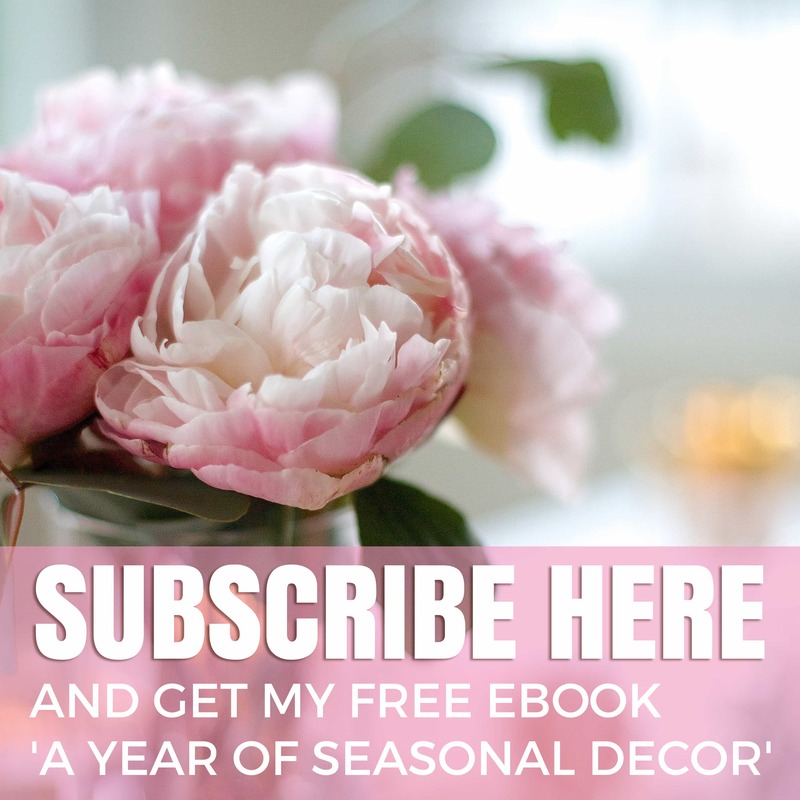 I love the soft autumn color palette you chose … and the inspiring tips, too! Very elegant! Beautiful Lory and I love all the colors of fall. The warm oranges, ambers, reds, or the softer blush colors like I did in the master. Thank you, Kim! And yes I love what you did in the master… 🙂 I find there are a lot of different directions I can go for the very same season and still enjoy them. I catch a lot of flack from my friends when they see that I use a round cutting board on my coffee table as a base to hold a small display … I know now by your similar vignette that I am in great company! Thanks, Norma! I just love playing with color themes!! Gorgeous, as always Lory! I love your style! So romantic Lory! I love those strawberry-vanilla hydrangeas! Thank you, Kim!! Is that what they’re called? I love that! Who knew that Fall could be so soft and sweet? Apparently you… and now the rest of us! I’ve been a covert to soft colors since last Fall! I have a couple similar vignettes with those textures and colors. You’re always such an inspiration! Thanks so much, Ginger! But you know just when I have everyone hooked on one palette, I’ve got something up my sleeve to change it up when you least expect it!! (A little foreshadowing for next week… ;-)). 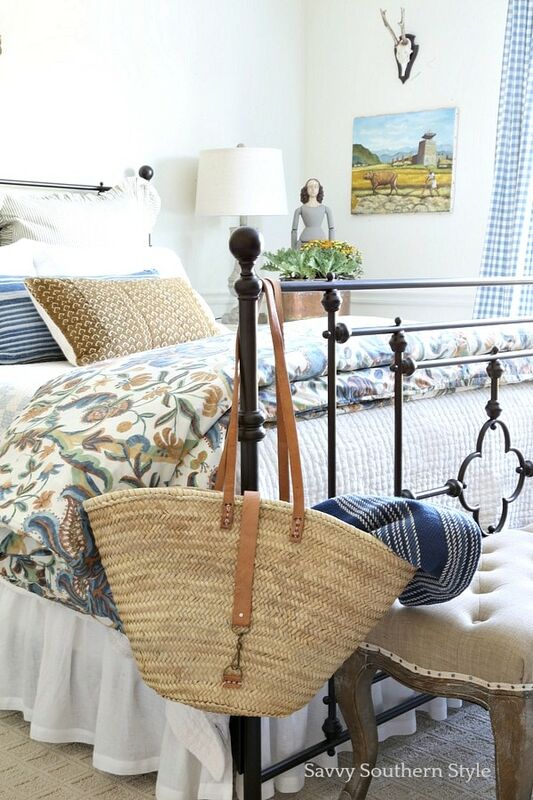 You know I’m all on board with this color scheme….looks so pretty yet cozy! I do know that… 🙂 That’s why we get along so well!! Lory, what a stunning tour! 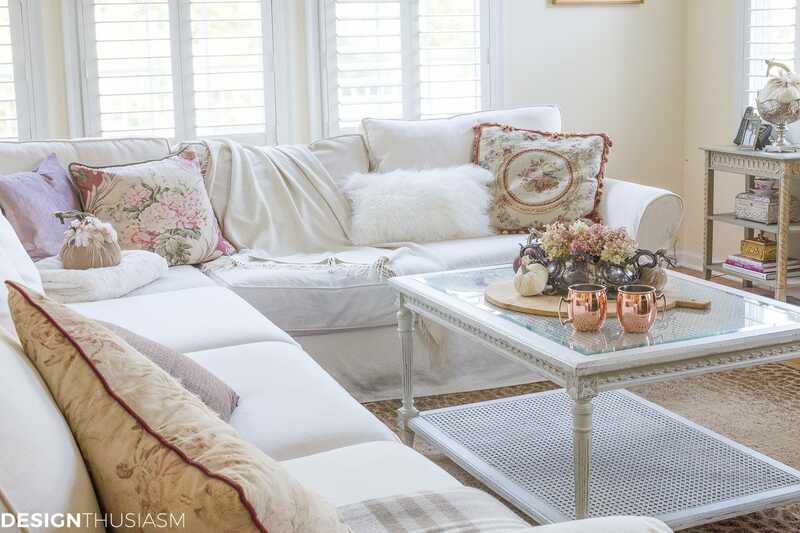 I adore your soft color palette and the french romantic vibe speaks to my heart! J’adore!! Ah merci beaucoup, my friends!! Quite a compliment coming from such talented ladies! I also love all your gorgeous urns and bowls – they make everything you put in them look extra special. 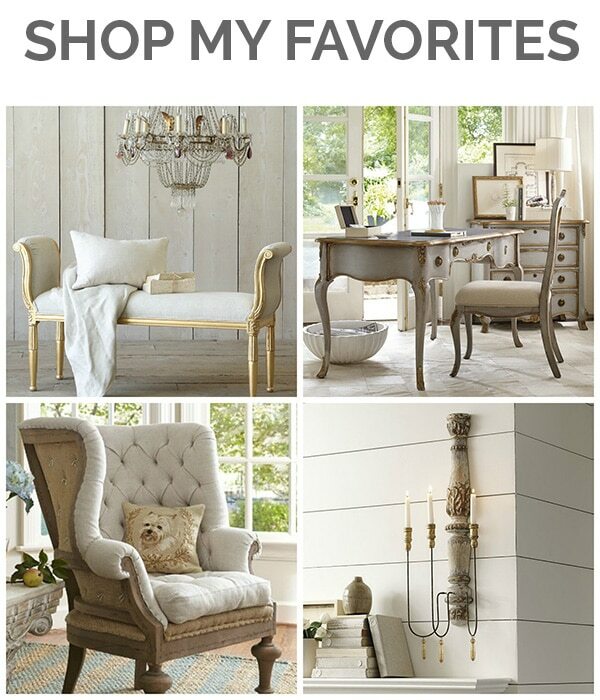 I’d love to come to your house and just shop for vessels! This is the very topic I’ll be addressing on Tuesday’s show! A lot of people want viable alternatives to the traditional deep colors. I, too, like to switch it up depending on my mood in any given decorating season. I love the options you’ve presented here. Very soft and pretty representation of Fall. Thanks, Alycia! I think finding varied fall palettes is one of my favorite parts of the season, Never straying too far from theme, I do still like to maintain my own aesthetic… 🙂 I’m sure the show will be very interesting! 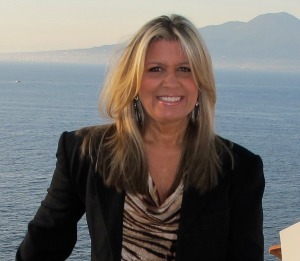 Lory, I just love how warm and cozy your home feels! 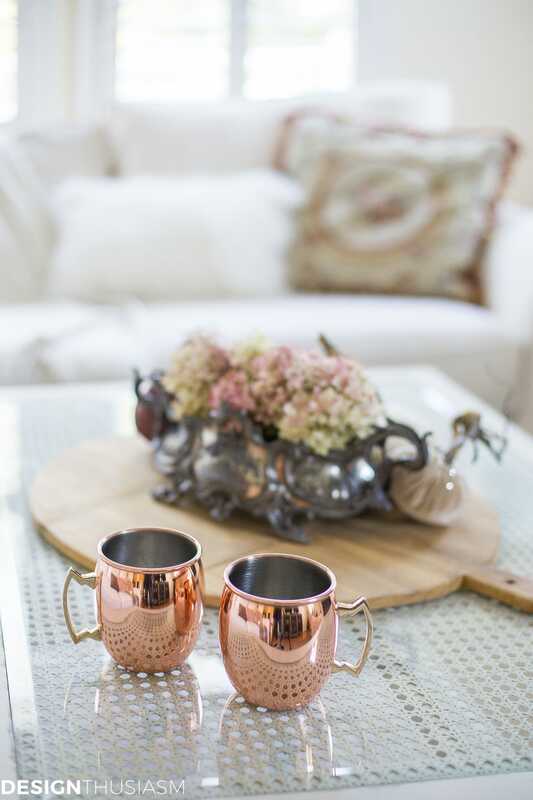 I would absolutely love to come sit and have a cup of Moscow Mule! Happy fall! How fun that would be! Thanks so much Rebekah!! Your home is beautiful all spruced up for the Fall! 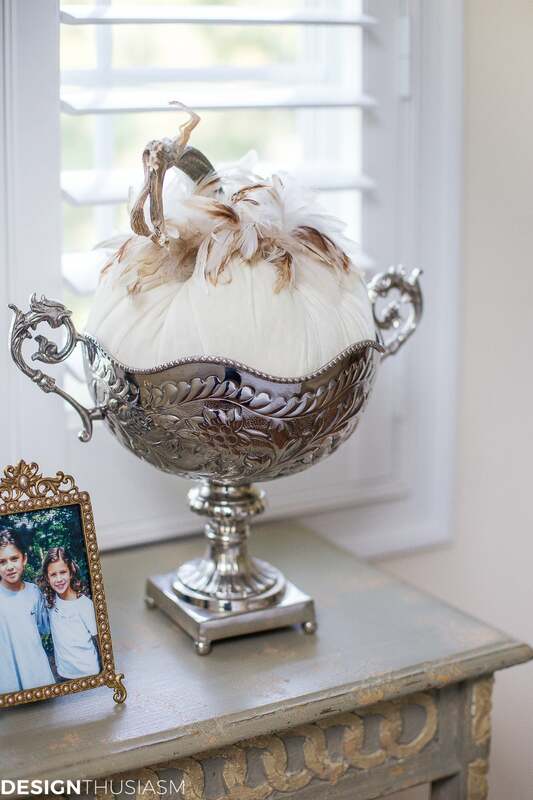 Oh My Golly – velvet pumpkins with feathers! AAAAAHHHHHH!!!!! 🙂 They are fun, aren’t they? Thanks for visiting!! 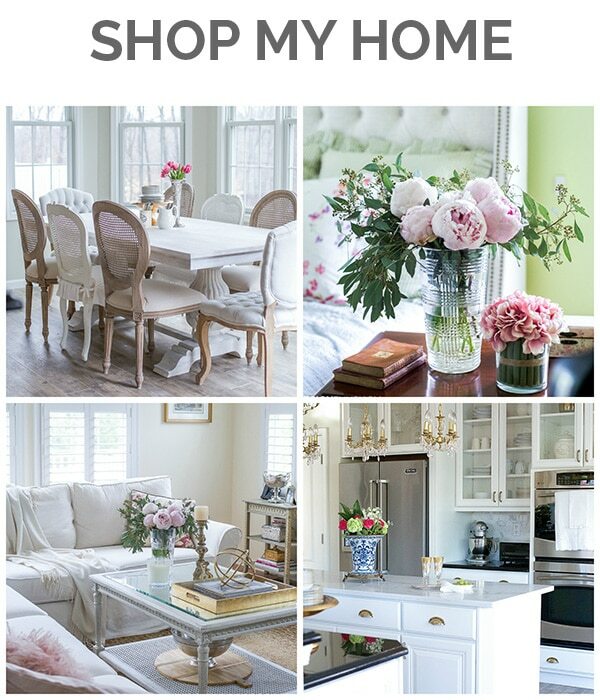 Your home is so beautiful, Lory! 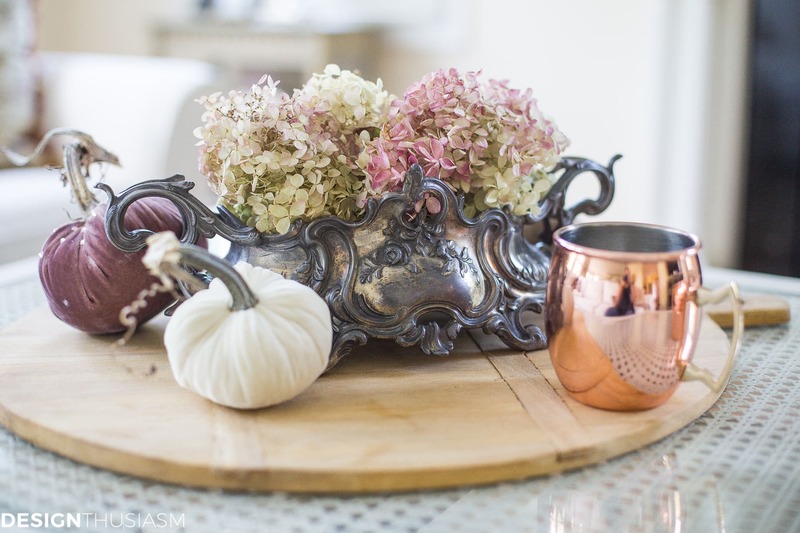 I especially love the touches of copper and those little velvet pumpkins. Thanks so much for being a part of this tour!